I have owned this movie on VHS for about 12 years, had it in my Netflix queue for about two, and had the DVD copy from Netflix sitting on my counter for over a month. Because of how well-reviewed the film is, I have long known that someday I would watch it. However, for some reason, I had in the back of my mind that it wouldn’t be my cup of tea or that I wouldn’t find it as great as so many other people and critics. Well, I was wrong; this a brilliant movie and I wish I would have seen it years ago. 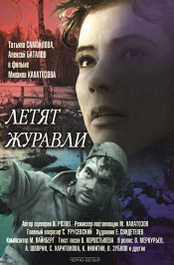 Based off several different sources, the film takes place in Berlin in 1931. 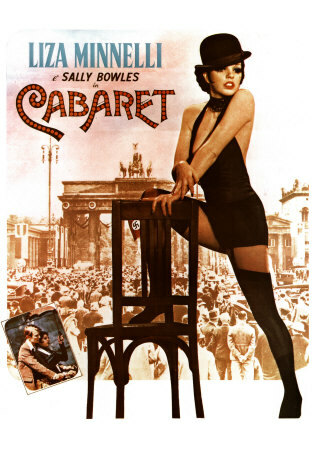 Sally Bowles (Liza Minnelli) is an aspiring film actress with an exuberant, though sometimes erratic, personality, currently working at the Kit-Cat Club, a risque cabaret. English PhD. candidate and man of words, Brian Roberts, arrives in Berlin and becomes roommates with Bowles, occupying the room across from her. To make rent, he teaches English lessons for three Marks an hour. Over time, he and Bowles become friends and eventually lovers. However, when Baron Maximilian von Heune (Helmut Griem) arrives on the scene, their relationship is truly tested. Over the course of being showered with presents by the wealthy von Heune, Bowles and Roberts both find an attraction to him. This attraction and the sexual escapades to follow lead to some difficult decisions for both their future together and for their individual aspirations in life. As subtext, the film chronicles the early rise of the Nazi regime and some of the horrors seen in plain public view, that were overshadowed by the decadence and innocence of the time. Wonderful musical numbers appear throughout, lead by Kit-Cat Club Master of Ceremonies (Joey Grey) as well. How I judge a truly great musical is whether or not the story itself was a great story without the visual panache of the musical numbers. This is one of those films; it’s an engrossing story, one where you truly care what happens to the characters, and the musical numbers are just icing on the cake. Minnelli and Grey both won Oscars for their work on this film and, I think, deservedly so. Oddly enough, Grey’s entire performance is in musical numbers, he has no scenes of actual dialog, but his physicality and comedic timing in the numbers is amazing to watch. As for Minnelli, her performance as Bowles is not only a great acting performance, but her musical numbers accent her amazing voice and dexterity in dance as well. I always scoffed at the fact that this film took Best Director away from Francis Ford Coppola for The Godfather; however, after seeing the movie, I can see how it happened. Director Bob Fosse, in addition to directing, choreographed all the musical numbers himself. This is a huge undertaking, and when you see the complexity of the dance numbers and how seamlessly they interweave with the shot selection, it makes sense how he could win the award. In addition to those three Oscars, Cabaret won five others, making it the biggest winner to date without taking home the Best Picture Oscar (that one did go to The Godfather). My favorite musical of all-time is still Singin in the Rain, but after seeing this one, I will admit that it is probably up in the top five now. It’s a great story with great performances and wonderful musical numbers. What more can you ask for in a musical?